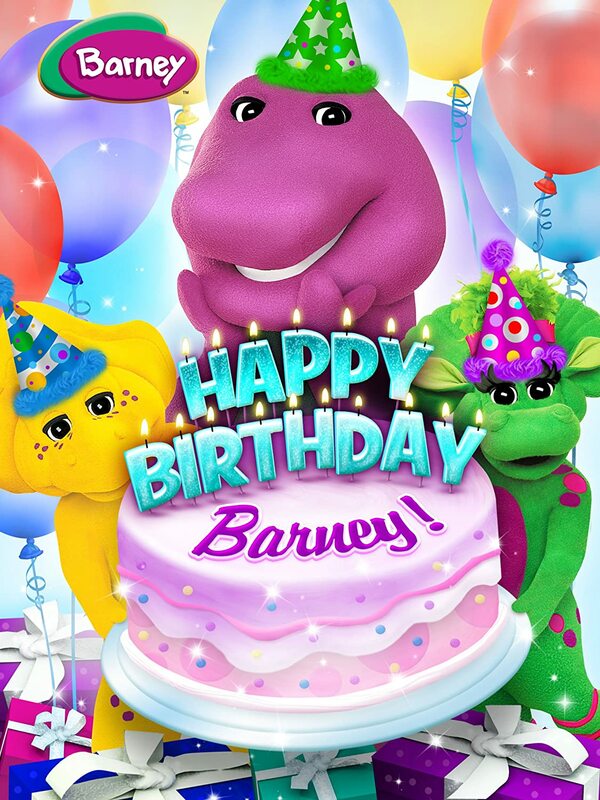 Put on your party hat as everyone’s favorite purple dinosaur Barney® and his playground friends gather to celebrate Barney’s super-dee-duper birthday celebration in the all-new Barney: Happy Birthday Barney! available on DVD, Digital and Video on Demand April 15, 2014 from Lionsgate and HIT Entertainment. Trusted by moms and adored by children, Barney displays sharing, caring, imagination, dancing and learning on television, online and through live events, home entertainment, toys and publishing. Help Barney celebrate over 25 years of love and friendship with the Barney 25 Million Hugs campaign. Barney is inviting fans of all ages to help him reach his goal of sharing 25 million Barney hugs around the world through the site www.ShareBarneyHugs.com and via email, Facebook and Twitter. When Barney’s birthday arrives, the kids throw him a special party with an extra special surprise: all of the people he loves! Riff™ worries that his homemade present isn’t good enough – until Barney explains that sharing a gift from the heart is the best gift of all. When it’s Layla’s birthday, Barney and Layla use their imaginations to explore more about her family heritage. 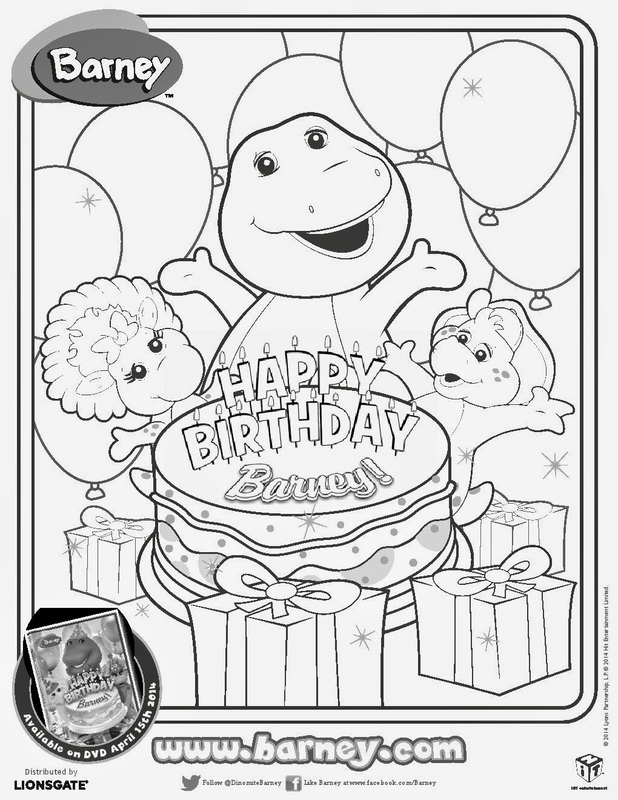 Come along for all of the birthday fun and surprises with Barney and his friends! And check out this fun coloring sheet! Win It: (1) Happy Birthday Barney DVD to a lucky winner!